The ESAI is introducing the opportunity for the formation of ESAI Special Interest Groups (SIGs) to support current and future practitioners and researchers in education in Ireland. 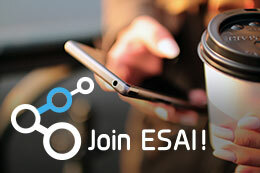 ESAI members who are interested in formation of a SIG should submit a formal proposal to the ESAI Executive. A proposal to form a SIG must give evidence of the ability to sustain the SIG and to warrant investment of ESAI funds. In 2015-2016 up to five SIGs will be established and reimbursed expenses that are submitted in a timely manner up to a maximum of €2,500.00 over two years. The Call for Proposals will be launched at each Annual Conference; the first call was made at the 2015 Maynooth Conference. Please click here to view the guidelines for writing and submitting a proposal for a SIG.